Table shows numbers and index change since 2005/06 of apprenticeship starts and completions. Apprenticeships are paid jobs that incorporate on- and off-the-job training leading to nationally recognised qualifications. As an employee, Apprentices earn as they learn and gain practical skills in the workplace. An Apprenticeship framework contains the following separately certified elements. • A knowledge-based element (the theoretical knowledge underpinning a job in a certain occupation and industry, typically certified via a Technical Certificate). • A competence-based element (the ability to discharge the functions of a certain occupation, typically certified via work-based assessed national vocational qualifications - NVQs). • Transferable skills (literacy and numeracy) - key skills / functional skills. • A module on employment rights and responsibilities. This table shows provisional estimates for 2010/11. It is not possible to directly compare provisional 2010/11 estimates with figures for previous years. Volumes are rounded to the nearest ten except for England Total and Grand Total which are rounded to the nearest hundred. Unlike participation figures, figures for 2008/09 onwards are comparable with earlier years as demand led funding rules are not applied to starts. Full-year numbers are a count of the number of starts at any point during the year. Learners starting more than one framework will appear more than once. Programme-Led Apprenticeships recorded in WBL ILR returns are included in the figures. 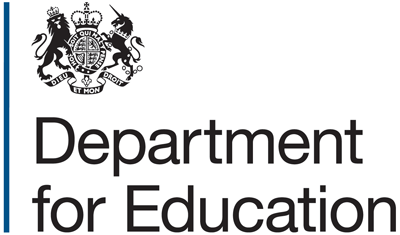 Government Office Region and Local Authority are based upon the home postcode of the learner. These figures are based on the geographic boundaries of local authorities as of May 2010. Figures for 2010/11 are based on postcode to geographic area assignments in the National Statistics Postcode Lookup. Figures for earlier years are based on the Office for National Statistics Postcode Directory. Figures for 2003/04 to 2008/09 based on earlier geographic boundaries are available in the SFR Archive, but these cannot be directly compared with new figures due to boundary changes. The years given refer to academic years starting from August. Download the data from The Skills Funding Agency. Data by gender, age and ethnicity for London only.